The other day I was reading a personal finance article on a major website. I enjoyed the article but I made the mistake of scrolling down to the comments to see what people had to say. After blogging about personal finance for almost four years, I wasn't very shocked. 90% of the comments were very negative. People were saying that anyone who saves money must hate their life, they must lead a boring life, and so on. Due to these crazy money statistics, I believe that more people should think positively about saving money. Saving money can help you stop living paycheck to paycheck, it can help you pay off your debt, it can help you prepare for retirement, and so on. The first step to saving more money is to figure out why you are unable to save money. For many people, it's because they often tell themselves excuses for why saving money isn't something they can or even need to do. If you do this, I want you to realize that you can change your ways and that it is possible to save money. I used to always give myself excuses as well but then realized that I was just lying to myself. 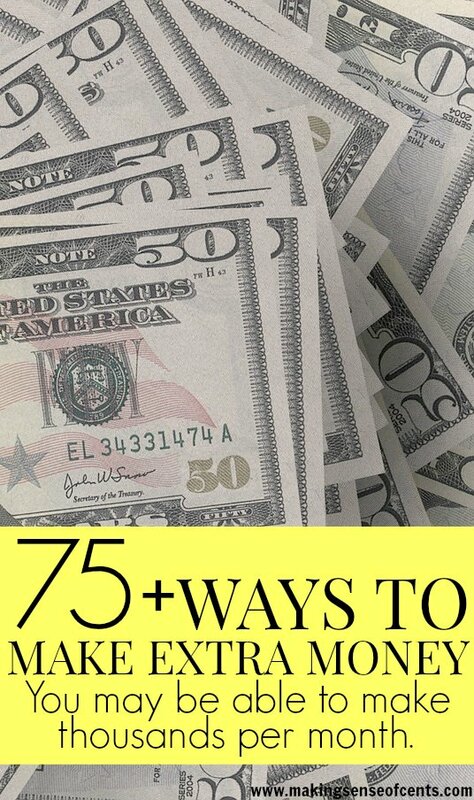 If you are interested in saving money, please read How To Live On One Income and 75+ Ways To Make Extra Money. In May, Wes and I took an eight day road trip to Zion National Park, Red Rock Canyon in Las Vegas, Joshua Tree National Park, and San Diego. On this road trip, we did some sight seeing, climbed a little, and went on several fun hikes. We were able to enjoy all of the national parks and national recreation areas for free due to our national park pass. If you don't have one, I highly recommend you get one. 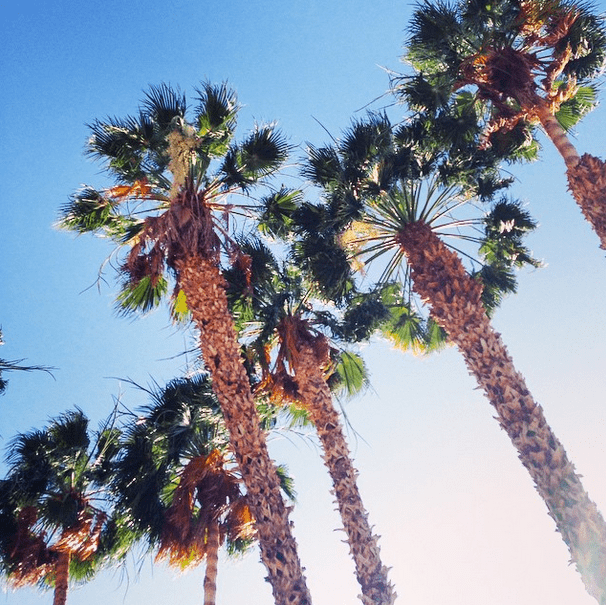 The U.S. is full of amazing places to visit! The total cost for our road trip was around $1,200. We were able to have an adventurous, fun, relaxing, and luxurious vacation on this amount, which I am very happy about. We could have saved more money but we decided to splurge a little in some areas. Why should you use a budgeting calculator? It is worthwhile downloading and trying our student budgeting calculator while you read through the benefits it can bring to your personal finance. Download it for free here. This calculator was proudly created by Tim Fisher from CreditCard.com.au. If you have any questions about the calculator feel free to contact Tim Fisher here. Is Being House Poor Limiting You? When we were in the process of buying a home back in 2009, we were given a pre-approval amount of $150,000. If we would have bought a house for that amount, I'm sure it would have led to us being house poor. While this may not seem like much to some, in the St. Louis area this can get you a good starter home. This $150,000 number seemed high to us because we were quite young when we were pre-approved (we bought shortly after we turned 20) and we both had mediocre jobs. Yes, we were both working full-time but our yearly salaries put together were still very low and I definitely do not think we should have been approved for $150,000. That being said, we thankfully did not buy a house that was $150,000. Instead, we made sure to buy a house for much less than that because we didn't want to be stressed out by large monthly mortgage payments that we couldn't afford. 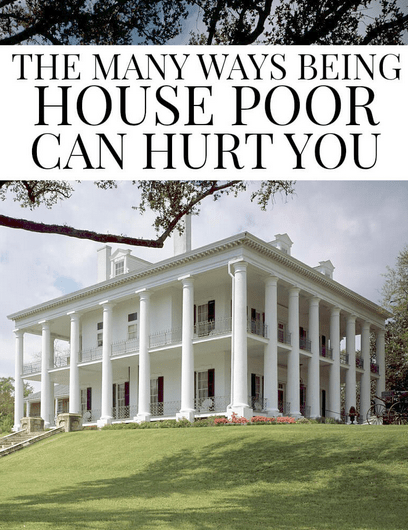 In case you don't know what “house poor” means, it is when you spend most of your money on your home and there isn't much left for other expenses. Being house poor can lead to many problems in your life. While having a roof over your head is a great thing, it can be easy to let home expenses get ahead of you if you don't do enough research before you buy. Many people are house poor too. Just because your neighbor has a nicer house than you does not mean that they are doing better than you. So many people see housing as a status symbol but don't really think about how this may impact their financial situation. 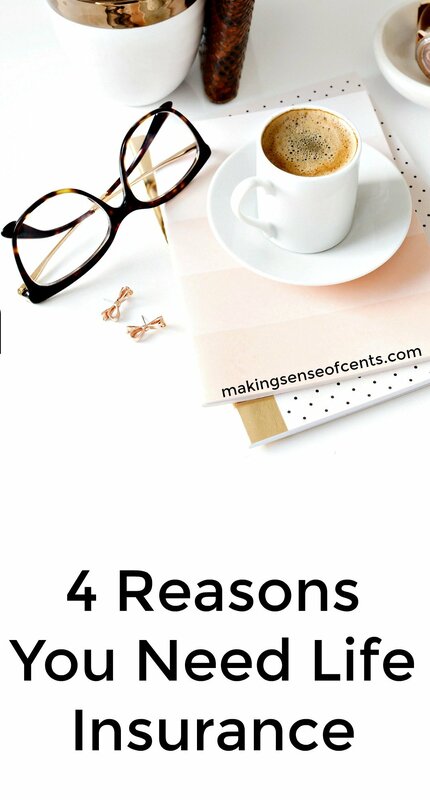 I talk a lot about making extra money and how to make extra money here on Making Sense of Cents. I do this because I truly believe that learning about the ways to make extra money and making extra income can change a person’s life. After all, making extra money changed my life. Around five years ago, I was fresh out of college and stressing out about my student loans. I was also not too happy about how much money I was spending and I was not too happy about how much money I was not saving. Then, a few years ago everything changed when I learned all about side jobs and the different things a person can do to make extra money. It may help you to become more diversified. Whether you have just one free hour each day or if you are willing to work 40 to 50 hours a week on top of your full-time job, there are many options for you when it comes to the different ways to earn extra money. We don't have any life insurance. We used to have a small amount paid for by our previous employers, but that was almost two years ago and it no longer exists so it's not like it helps us at all. We will absolutely add life insurance before we start a family, but it wouldn't hurt us to start searching now. Life insurance is so very important. The main reason most get life insurance is because it can help your loved ones and anyone who depends on you. This way they can still pay the bills and grieve without having to worry about money. There are many more reasons to get life insurance though! Below are four reasons for why you may need life insurance. Even if you don't think you do, there might be a reason below so I suggest you continue reading! Hello everyone! Time for another life, goals, and food budget update. April was another great month for us. It was a record income month for us but it was also an expensive one. May won't be any cheaper as well since I'll be gone for almost 20 days due to two separate trips, but it's all budgeted for so I am still happy. Colorado is still treating us well. 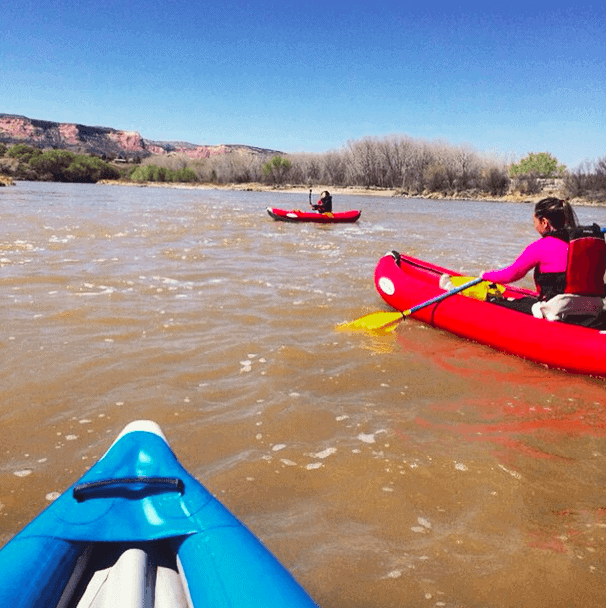 We are enjoying all of the outdoor activities that Colorado offers and everything else around here. Our house is still for sale in Missouri and that's pretty much the only thing bogging us down. We keep going back and forth about what we want to do with it, and we have pretty much decided that lowering the price anymore is just crazy talk as it's already priced much lower than all of the comparables near us. If it doesn't sell though, we have plans and will remain positive about it regardless.